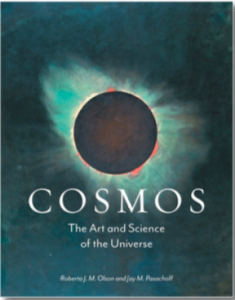 Cosmos: The Art and Science of the Universe charts the human love affair with the heavens in art and astronomy, based on sound science and accurate art and cultural history. While its illustrations are thrilling and seductive, the book also recounts the fascinating story about the quest to discover the mysteries of the universe in ten lively chapters. Embellished with new information, interpretations, and amusing anecdotes, the authors weave a rich tapestry about the interconnections in the cosmos and the efforts to understand them. An exciting introduction to astronomy, the fifth edition of this book (available in the U.S. in April 2019) uses recent discoveries and stunning photography to inspire non-science majors about the universe and science. It is usable for one-semester or two-semester introductory astronomy courses. Exciting information about studies and discoveries about exoplanets and about the discovery of gravitational waves from merging black holes and merging neutron stars by the Laser-Interferometer Gravitational Wave Observatory (LIGO) is included. Written by two highly experienced and engaging instructors, each chapter has been fully updated, with hundreds of new images throughout, including recent images from space missions and the world’s best observatories. The text is organized as a series of stories, each presenting the history of the field, the observations made and how they fit within the process of science, our current understanding, and what future observations are planned. Math is provided in boxes and easily read around, making the book suitable for courses taking either mathematical or qualitative approaches. New discussion questions encourage students to think widely about astronomy and the role science plays in our everyday lives and podcasts for each chapter aid studying and comprehension. 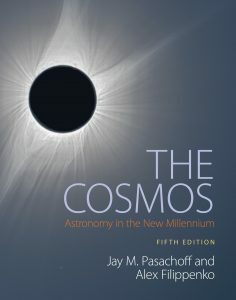 An exciting introduction to astronomy, the fourth edition of this book uses recent discoveries and stunning photography to inspire non-science majors about the universe and science. Written by two highly experienced and engaging instructors, each chapter has been fully updated, with more than 200 new images throughout, including recent images from space missions and the world’s best observatories. Redesigned, streamlined pages highlight the breathtaking imagery. The text is organized as a series of stories, each presenting the history of the field, the observations made and how they fit within the process of science, our current understanding, and what future observations are planned. Math is provided in boxes and easily read around, making the book suitable for courses taking either mathematical or qualitative approaches. New discussion questions encourage students to think widely about astronomy and the role science plays in our everyday lives and podcasts for each chapter aid studying and comprehension. 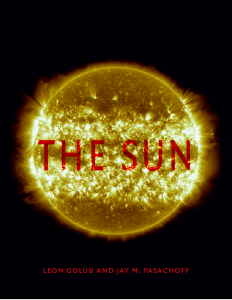 Leon Golub and Jay M. Pasachoff’s popular book about the sun for the Science Museum of London was published in spring 2017. The fourth edition of this best-selling field guide was revised and updated to include the latest information. As of the 14th and 15th printing (2016-2017), all the time-sensitive material is valid through 2020: solar eclipses, phases of the moon, positions of the planets, and more. Twenty-four Monthly Sky Maps, revised and in color, show exactly what you’ll see when facing north or south in the night sky. Fifty-two Atlas Charts, also revised and in color, cover the entire sky, including close-ups of areas of special interest such as the Pleiades and the Orion Nebula. The 16th Printing (April 2019) extends most of the charts for another 10 years and includes results from the 2017 American total solar eclipse. Astronomy leads to an understanding of the history and nature of science, and attracts many young people to education in science and technology. But while in many countries astronomy is not part of the standard curriculum, many scientific and educational societies and government agencies have produced materials and educational resources in astronomy for all educational levels. This volume highlights the general strategies for effective teaching and introduces innovative points of view regarding methods of teaching and learning, particularly those using new technologies. Technology is used in astronomy both for obtaining observations and for teaching. 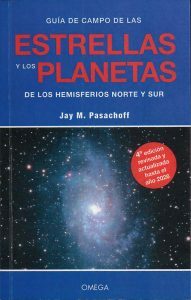 The book also presents ideas for how astronomy can be connected to environmental issues and other topics of public interest. This valuable overview is based on papers and posters presented by many of the world’s leading astronomy educators at a Special Session of the International Astronomical Union General Assembly in Prague in 2006. How did the Sun evolve, and what will it become? What is the origin of its light and heat? How does solar activity affect the atmospheric conditions that make life on Earth possible? These are the questions at the heart of solar physics, and at the core of this book. The Sun is the only star near enough to study in sufficient detail to provide rigorous tests of our theories and to help us understand the more distant and exotic objects throughout the cosmos. Having observed the Sun using both ground-based and spaceborne instruments, the authors bring their extensive personal experience to this story revealing what we have discovered about phenomena from eclipses to neutrinos, space weather, and global warming. 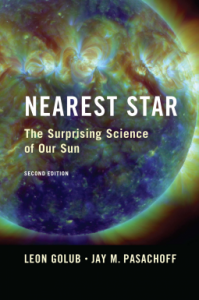 This Second Edition is updated throughout, and features results from the current spacecraft that are aloft, especially NASA’s Solar Dynamics Observatory, for which one of the authors designed some the telescopes. Created by Jay M. Pasachoff, Field Memorial Professor of Astronomy at Williams College, Williamstown, MA. Produced by his students and the Office of Information Technology. A good introduction to the nature of solar science, spectroscopy, solar telescopes and spacecraft. Designed for grades 9-12. Can be supplemented with the Colors of the Sun video introduction to spectroscopy and solar science produced by Stanford. Intended for graduate students and astronomers seeking an introduction to coronal physics, this textbook strikes a balance between the observational and theoretical aspects of the subject. 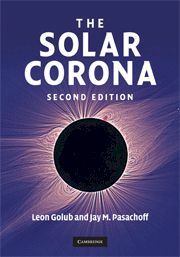 This second edition takes into account the major observational and theoretical developments of recent years to provide an up-to-date treatment of our understanding of the solar corona. After reviewing the latest observations of the solar corona, the authors explain how the studies have advanced and shaped our understanding of coronal physics. The textbook introduces a wide variety of exciting physics, including dynamo theory and magnetohydrodynamics, and shows how the transient effects of the solar cycle affect space weather. Each subject area is introduced using basic physics, and refers readers to fundamental papers on the topic, key new studies in each area, and extensive discussions in recent review articles. Based on papers and posters presented by experts at a Special Session of the International Astronomical Union, this volume highlights the many places for astronomy in the curriculum. 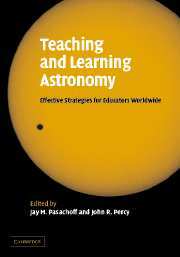 It covers relevant education research and “best practice”; strategies for pre-service and in-service teacher education; the use of the Internet and other technologies; and the role that planetariums, observatories, science centers, and organizations can play. It concludes by addressing how the teaching and learning of astronomy can be improved worldwide. 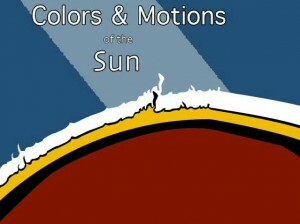 Covers the following topics: Earth, Moon, and Sun; Exploring Space; the Solar System; Stars, Galaxies, and the Universe. Fire in the Sky collects many representations of comets and meteors in Britain during the eighteen and nineteenth century when a large number of works inspired by these celestial objects were produced. Over 100 photographs–and two sections of luscious color plates–beautifully portray the inspired output of some of the world’s most talented artists, fully capturing the phenomenon that obsessed not only a nation but an era as well. Olson and Pasachoff reveal the many different ways that comets and meteors have appeared in paintings and literature and link these works to the achievements of British science in the wake of Newton and Halley. They also examine the different symbolism that writers and artists have attached to these spectacular objects. Throughout, Fire in the Sky conveys how the development of new technologies, and the burgeoning interest of the general public in science and art, dovetailed with an interest in nature and a strong literary tradition of comet and meteor symbolism. Beautifully illustrated and packed with engaging stories, this book will delight anyone with an interest in the art and astronomy of comets. The second edition of the Peterson First Guide to Astronomy provides an up-to-date introduction to astronomy for beginners, featuring all-new photographs of recent events — such as one taken from the MESSENGER spacecraft, which launched in 2004 and entered its orbit around Mercury in 2011 — and predictions for future events through 2019, including meteor showers, comets, and eclipses. The book encourages readers to go out into the field, using the maps that show the positions of the stars throughout the year as a guide. This new edition maintains the easy-to-use condensed format of the original, and makes it easy to proceed to the full-fledged Peterson Field Guide to Stars and Planets for more in-depth information.